Stylish splayed feet validate the Shaker influence in our hardwood South Hooksett Right Deck Hutch, which is crafted to handle generations of use. Inset panels and a simple crown are the perfect finishing touches on your South Hooksett Right Deck Hutch. Standard features include a solid shiplap back, glass shelves with wood facings, a recessed touch lighting system, and soft close drawers. 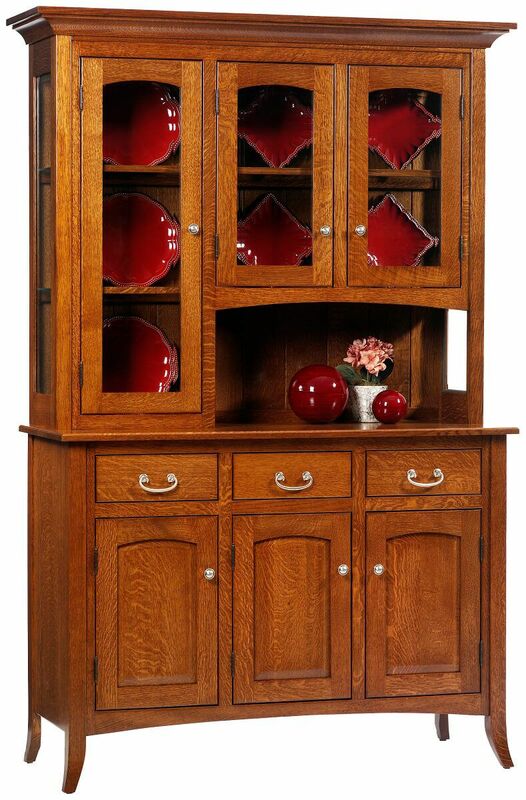 Made entirely of the domestic wood species you select, your china cabinet will be stained at your discretion and personalized with details you select from our options menu. 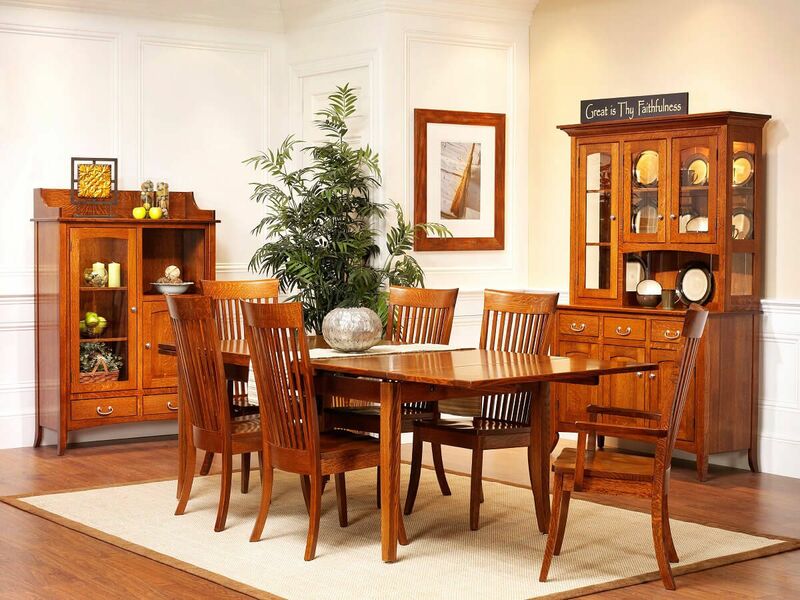 Shown in Quartersawn white Oak with a Burnished Honey stain, your South Hooksett Dining Collection will be uniquely you. Request wood finish samples to view at home before making your final decision.